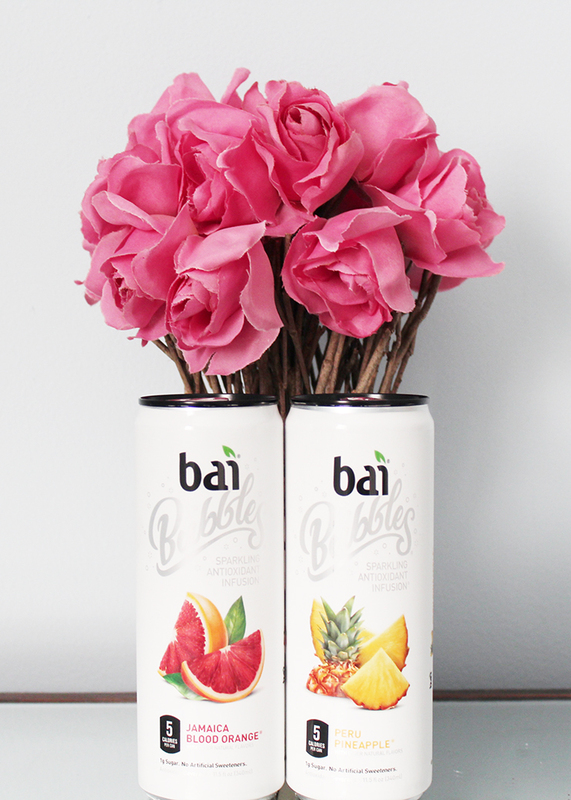 A few weeks ago the people over at Bai were sweet enough to give me a few cases of all their drinks. I've been having so much fun trying everything and even mixing up some cocktails. I've been told before I'm a little (ok, more like a lot) heavy handed with the alcohol when making cocktails. Luckily my Dad is a bartender and seriously talented at making drinks! A couple weekends ago my sister and I spent a night creating cocktails with my Dad with Bai Bubbles. 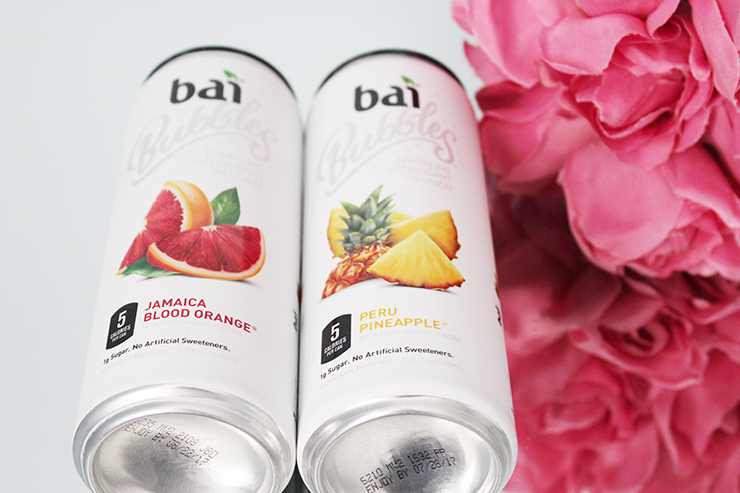 Bai Bubbles are one of Bai's newest drinks and are "flavor infused with antioxidants for a carbonated twist." They make a great mixer because they don't only taste good, but are super light on calories too! Each can only contains 5 calories and 1 gram of sugar so they are delicious and not bad for you either. It was really cool to see my Dad mixing up different concoctions because to say that the drinks I make don't come out that good is a major understatement! My sister and I also enjoyed taste testing everything so it would be perfect to share. We had so much fun with this post and put together three signature cocktails to share with all of you, check out each of the recipes below. Pour ingredients over ice and stir well. Garnish with a pineapple chunk and serve. Pour ingredients over ice and stir well. Garnish with an orange slice and serve. Pour ingredients over ice and stir well. Garnish with a pineapple chunk or orange slice and serve. I really loved each of these and know you will too. Let me know below if you'd like to see more cocktail recipes and I will get my Dad to come up with some more! 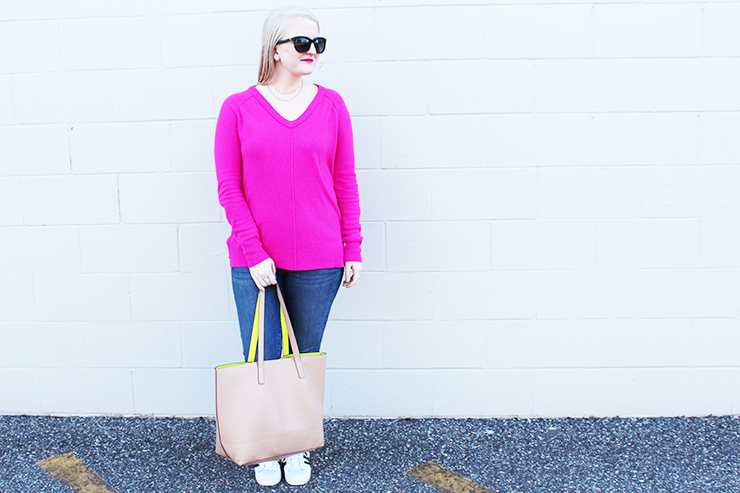 Today I'm linking up with Thursday Fashion Files, #WIWT, and Spotlight. With the new season in front of us I've been wanting a few things to help me usher it in. Each of these things are definitely wants and not really needs right now so I decided to put them all together in a Wish List to share with all of you. Below are eight items I'm currently wishing for. I got a deluxe sample of this from Sephora and fell in love with it. Honey is one of my favorite skincare ingredients since it is both moisturizing and antibacterial. This mask combines honey, royal jelly, propolis, and Farmacy's Echinacea GreenEnvy to hydrate, gently cleanse, and provide antioxidants to your skin. I've found that it has even helped to clear up my skin when I'm having a breakout. I think the best part about this mask though is that it warms when you rub it onto your face, which makes the experience feel super luxe. I cannot wait to pick up the full size of this! I have been eyeing these chic Karen Walker sunnies for a few years now. I just love the shape of them and the look of the tortoise shell. I've only ever worn black sunglasses so I think that these would be a fun way to change up my style a bit. I'm thinking that since I've been lusting after these for so long I'm going to treat myself to them for summer. This is another product I tried because of a deluxe size sample I got with a Sephora order and am totally hooked. I like to alternate between chemical and physical exfoliants throughout the week (I exfoliate three times a week!) to give my skin the best exfoliation possible. Right now I am using this chemical exfoliant and while I do really like it I'm almost out and wanting to try something new. The few times I used the FAB Peel my skin was literally glowing the next day so I think I definitely need to add this into my skincare routine. 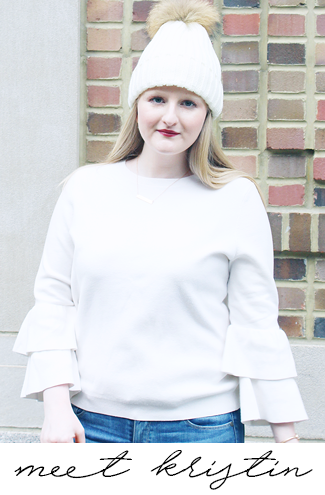 I feel like I'm always on the search for cute white tops since they go with everything. I really should get a few different ones for the spring and summer since I don't have that many and this one is my top choice so far. It is so cute with it's sweet scallop detail and is a steal at $25. I think I might have to pick it up in white and black! I never realized how important a setting spray is until I tried this. I recieved a deluxe sample of this in my December PLAY! by Sephora box and now I feel like my makeup isn't complete without it. This makes your makeup stay put all day or all night and I never have to touch up my makeup when wearing it. I seriously cannot say enough good things about this amazing product and I can't wait to get the big bottle of it. These are another item that I've been lusting over for a while and think that I finally need to take the plunge and purchase. They're so cute for spring and summer and will go with so many things. I've really been wanting the Chanel pair like this, but they're a bit out of my price range right now so I think I'm going to get this equally adorable pair from Tory Burch. I am totally obsessed with Sunday Riley so naturally I want to try their newest moisturizer! C.E.O. not only hydrates the skin, but provides skin with a dose of high-potency, advanced vitamin C. The vitamin C works to "visibly repair the effects of aging, environmental stress, and pollution-induced damage." This moisturizer is high in antioxidants and will also help to brighten skin. I'm hoping to get a sample of this to try and see how I like it and if I want to buy it. I have been in love with these since last year and they are yet another piece I think I need to have for this summer. I love the sweet scallop on these as it is feminine, chic, and on trend. I am also a huge fan of neutral colors and know these will go with so many things I already have in my closet. I'm hoping to pick these up in the next few months so I have them ready for warmer weather. What is on your wish list right now? 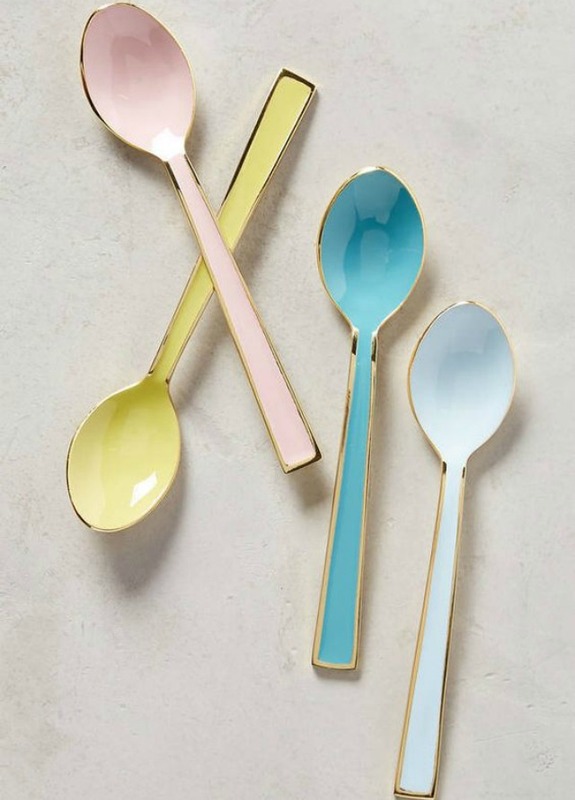 These spoons from Anthropologie are the perfect spring addition to your kitchen. 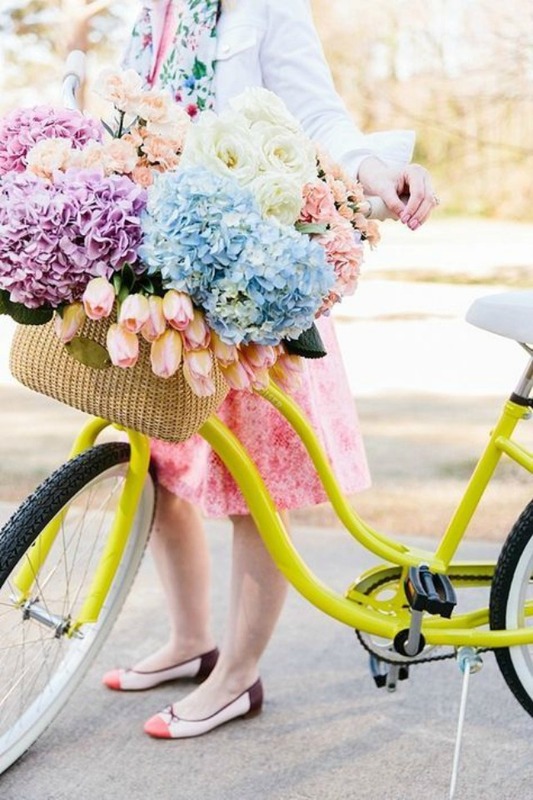 They are a great way to add a subtle pop of color and would look so sweet for any Easter events. I honestly don't even drink tea and still want to pick these up - I mean they could totally be ice cream spoons too, right?! How cute is this sweet little bunny? 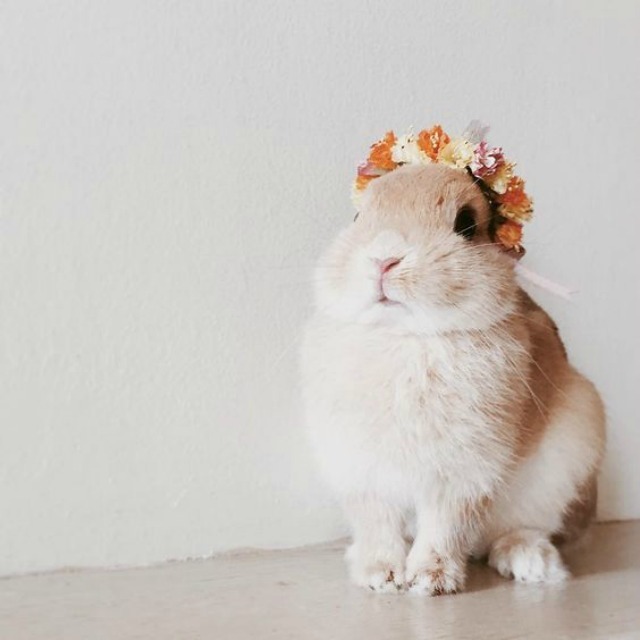 I'm loving her little flower crown and she looks so ready for spring! Her name is Poteto and the best part is is that she wears flower crowns on the regular. Check out her Instagram account here. 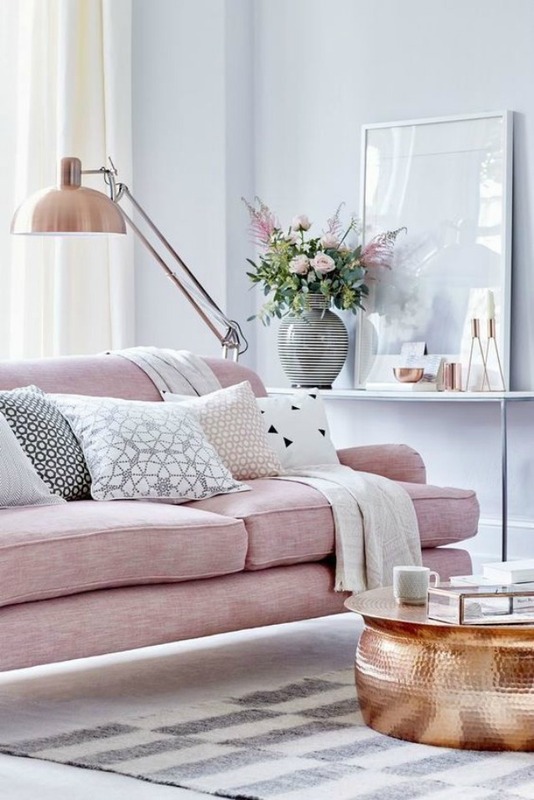 I have been swooning over pink couches lately and love this one I found on Pinterest. This living room is so chic and those copper accents are the perfect touch. Seeing this space and how it is decorated has definitely left me wanting a pink couch now more than ever. I'm only recently getting into flowers and was never a huge fan of them in the past. Now I am really loving them though and picked up some hydrangeas last week to try my hand at flower arranging and was so happy with how my little arrangement came out. I found this image on Pinterest and really loved how the colorful hydrangeas looked mixed with other beautiful blooms. This office is serious #goals! It's so girly and perfectly organized, which really speaks to my type A personality. 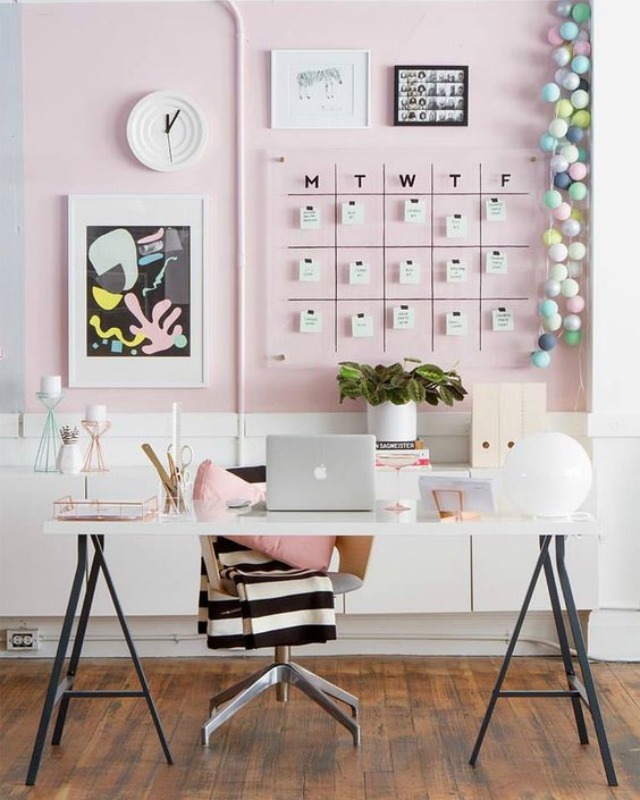 I also really adore that wall calendar and am wanting one for the little office space in my bedroom that I'm putting together. Pantone's Colors of the Year for 2016 were Rose Quartz (a pale pink) and Serenity (a periwinkle blue). 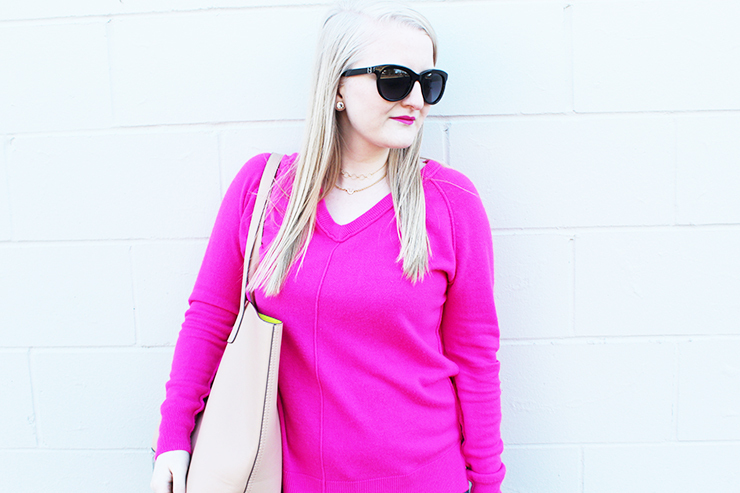 Both of these colors are super popular for spring and summer and are popping up everywhere. 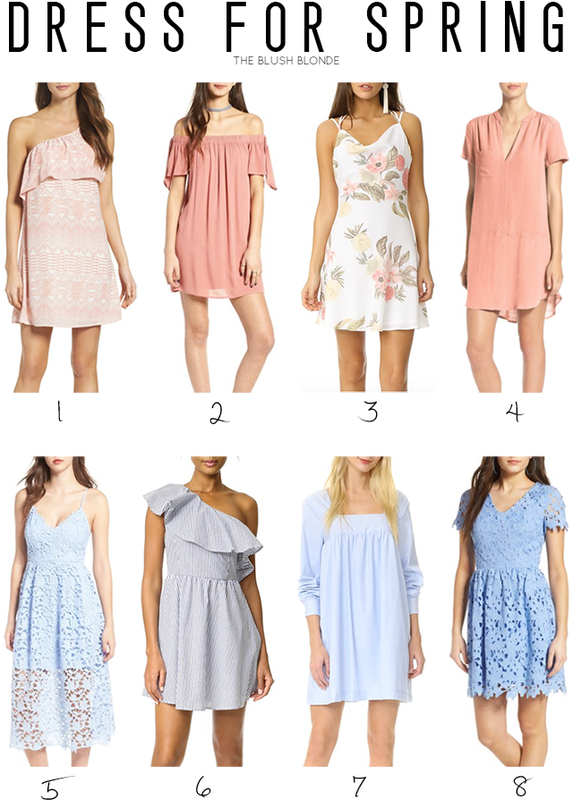 When looking for dresses for springtime I kept seeing rose quartz and serenity everywhere and wanted to share my finds with you. 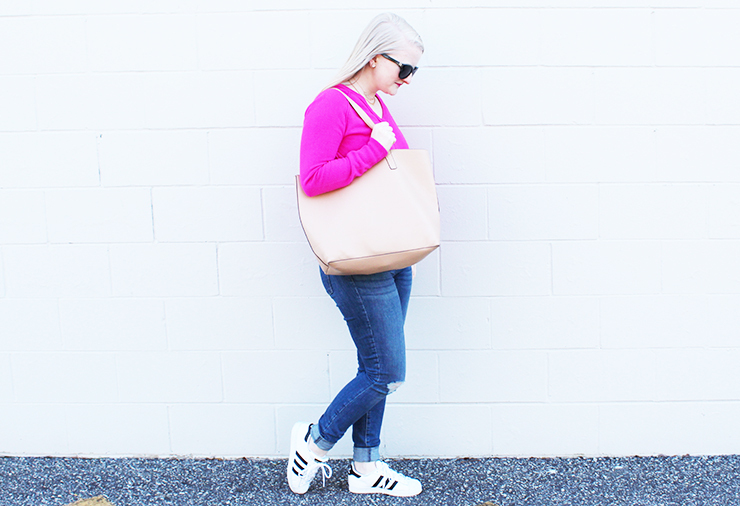 All of my picks are super on trend and will help you to usher in spring (if it ever gets warm enough to wear them!). Each of the dresses are also under $100 (with this, this, and this under $50! ), which is a major bonus in my book. While I am loving all of these my top choices are this blue one and this pink printed one. After finding all of these I can't wait to get my hands on a few rose quartz and serenity pieces for spring! What do you think about rose quartz and serenity for the new season? Happy first day of spring! I feel like winter went by so quickly, but unfortunately its chilling temps are still sticking around in New Jersey. I'm trying to get into the spring state of mind though and this look is perfect for that. 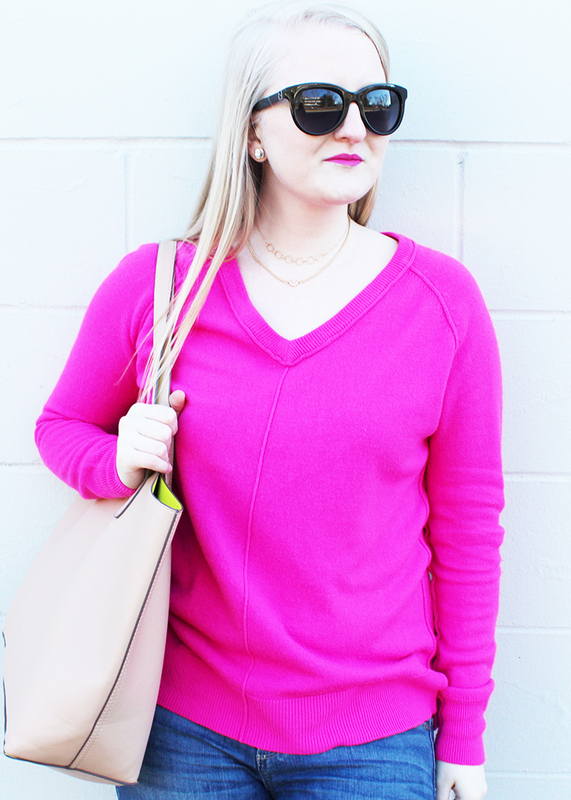 It's a great outfit to transition seasons and this bright pink sweater is so cheery that it has me extra excited for spring and summer outfits. 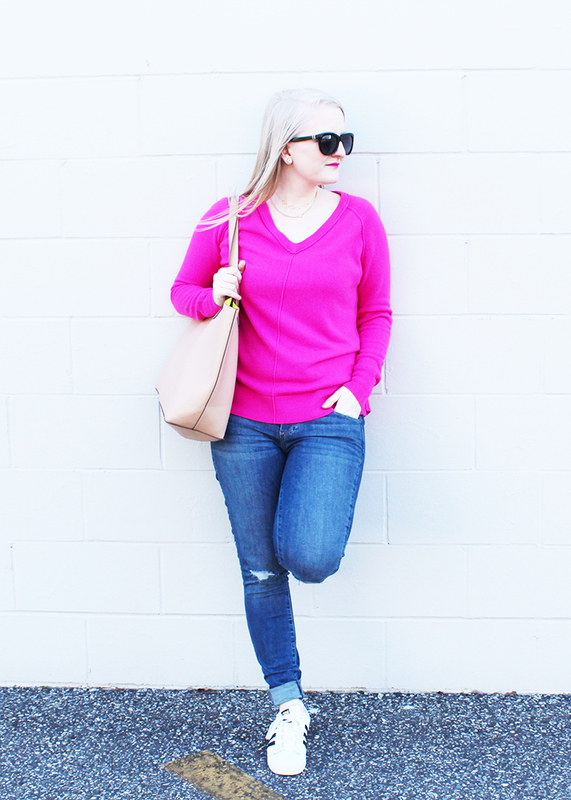 Try mixing lightweight, colorful sweaters, like this one, with jeans to help you through the change of season and pair them with boots, sneakers, or ballet flats depending on the weather. The necklaces I'm wearing will be on repeat all spring and I can't wait to style them with different items from my closet. They were designed by a sweet Instagram friend of mine, Christy, who owns Verve Jewelry. Verve is known for reinventing and repurposing jewelry from the past and has a wide range of collections with pieces of jewelry that go with everyone's style. Whether you prefer dainty pieces (like me), chunky and vintage, or a more bohemian look, Verve has something for you. My absolute favorite part of Verve though is that portion of their sales go towards rescuing dogs and cats in our country’s shelters; I love finding a designer who's heart is as beautiful as her creations. Make sure to stop by and checkout Verve Jewelry to pick up a few pieces for yourself! About a month ago I told my Instagram followers that they could ask me anything for an upcoming Q&A post on here. You all asked some great questions and today I'm finally getting to answer them. The questions below are a combination of the ones I got on Instagram and the ones I get asked a lot in "real life." If you want to know anything I didn't answer here drop a question in the comments and I will add it to the post! I grew up in a tiny (like only one square mile tiny) beach town called Spring Lake Heights in New Jersey and this past August I moved to Brick, NJ which is where I currently live. I went to Villanova University and graduated this past May. I have a Bachelor of Arts in Communications. What classes did you take in college? For my first two years of school I was undecided on my major and took so many different classes. I wanted to try everything before settling on a major so in those two years aside from my core classes I took classes in economics, Russian history, art history, political science, communications, and took Russian as my language. Once I declared my major I took communications courses and concentrated on Public Relations, I also took enough political science courses to fulfill a Political Science Minor. My plan was initially to start graduate school this past January, but that was put on hold due to some new health issues. Since graduating I've been going to the doctors a lot, resting, blogging, and looking into grad school. I will hopefully be applying to start a grad school program in the fall. Beauty Editor at a fashion magazine or website like Byrdie. I started blogging in 2013 on a whim after I had a surgery that left me bedridden for two weeks and on restricted movement for three months. This was my second of three surgeries and it was during the summertime, I was bored out of my mind, came across a blog on Pinterest that I loved, and decided to start my own to give myself something to do. I've always loved fashion, beauty, DIY, and baking/cooking so it made sense to me to try to share that with other people. I would love for my blog to continue to grow and to be my fulltime job in the next five years. What do you like to do in your free time beside blogging? A lot of my free time is spent going to doctors' appointments and sleeping since that is my only "escape" from not feeling good. I also recently got back into reading for fun (see what I'm reading here) and love a good Netflix binge. When I feel up to it I love to go to Villanova Basketball games, as I am a huge fan, and spend time with friends and family. I honestly feel like I spend so much time blogging too because the topics I share are things I'm so passionate about. I spend time reading beauty articles, studying fashion magazines, crafting, or baking something and all of that lands up relating back to my blog one way or another, which I love. I have RSD, Crohn's disease, Rheumatoid Arthritis, and chronic migraines. If you're interested in learning more or are just curious I have posts explaining everything in detail here and here, and an update at the end of this post. Do you get migraines along with your visual snow? I have an issue with my vision called visual snow, which means I see television like static in the whole of my visual field constantly and it makes seeing in very bright or dark conditions difficult for me. I've had it my whole life and it doesn't bother me that much because I don't really know any other way of seeing. As stated above I do also have chronic migraines, however the two are not related. My doctor (from the Headache Center at Thomas Jefferson University Hospital) explained to me that people with visual snow are more likely to get migraines, but they don't always and there's no reason for it. I've had the visual snow my entire life, but was only diagnosed with chronic migraines in 2016. I do however get an aura with migraines, but that is separate from the visual snow. What are your hopes and dreams? Can you accomplish them now or do you have to wait until you are in better health? Unfortunately at this point, I will most likely have my health problems for the rest of my life so I have to think of my life those terms. I've learned to think more about the now and what I can do instead of planning for way down the road and getting disappointed if I cannot accomplish something because of my health. As of right now my hopes for the near future is to feel better (even a little bit better would be amazing) and go to grad school. Yes, I have a low prescription for distance and have to keep them in my purse at all times so I don't lose them or forget to bring them somewhere. I'm seriously the worst at remembering them until I'm somewhere struggling to see clearly. I actually get asked this in person all the time and I think it's so funny because I never had braces. I kind of look at is as one thing I got a break on. What breed is your dog and how old is she? Coco is a Maltese and she just turned 9 last month! What is your favorite place you've ever traveled to? Mykonos, Greece. It is beyond gorgeous and I would highly recommend going if you ever get the chance! I would love to go back since I didn't get to appreciate as much as I would've liked to because I was on a school study abroad trip, was really sick, and was also dealing with crippling anxiety while I was there. Definitely New York City! I would love to live there someday. Where is your favorite place in New Jersey? This sounds dorky, but I love being home. I'm fortunate enough that I live with my Mom who is one of the coolest people I know and our house is just so warm and cozy that I love being there. I'm also very easily entertained and can find about a million things to do while I'm home. Other than that I love Spring Lake Lake and Spring Lake Beach. I don't actually like to "go" to the beach in the summer (I know I'm weird), but I love to walk on the boardwalk or drive past the beach for an instant calming effect. I'm also really fortunate to live in a place that has access so many different things, people and places, and I love living in New Jersey. If anyone wants me to do a "Jersey Shore Guide" let me know! 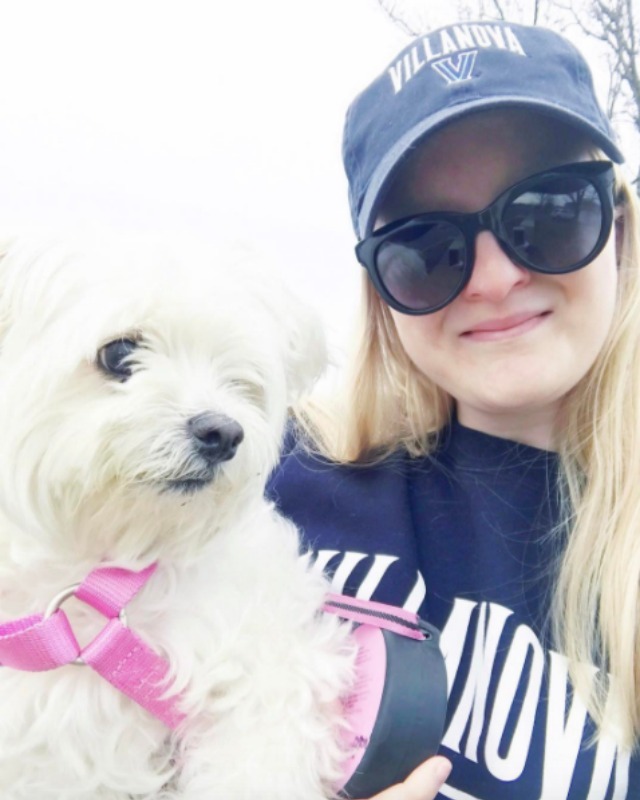 Walking around New York City with family or friends, eating something Italian for lunch and/or dinner, getting cupcakes at Sprinkles, and then coming home to love my dog! Bonus points if it's a sunny day and the temperature is in the low 70s. What singer or band defined your childhood? Definitely Britney Spears and I'm still obsessed with her. What is a song that defines your life? I feel like I'm always changing my mind on this one, but I actually decided the other day it's "Stronger" by Britney Spears. I know it's a song about being dumped, but that's not the part I'm talking about, the lyrics I love are "I'm stronger, Then I ever thought that I could be, baby [...] You might think that I can't take it, but you're wrong, Cause now I'm stronger than yesterday." In my life I know that I'm strong and can get through anything, which is why I love this song. If you could date one celebrity would would it be? Do you dye your hair/have you ever dyed your hair? I have never dyed my hair and it was actually even lighter (basically paperwhite) when I was a kid! The closest I've ever come to "dying" my hair was in this post. Do you do anything special to take care of your hair color? The color of my hair can make it super hard to take care of; it absorbs the color of anything that touches it, which can be a pain. My hair has taken color from everything from mascara to blood to face paint to chlorine and held that color for days to weeks. I even have to be really careful about what color shampoo and conditioner I use because if I use ones that have a color to them my hair will start to tint that color. I recently picked up this purple shampoo because I heard it was great for blondes, and I love it, but I can only use it once every one to two weeks because if I use it more frequently my hair will (and did) get a purple tint to it. Being careful not to get anything colorful into my hair and making sure to wash it right after I swim in chlorine are the only two things I really have to do to take care of my hair color. Hydrate (inside and out), exfoliate, always take off your makeup before bed, and wear SPF. Neutrogena makes my favorite sunscreen products and I've found that they protect me from the sun the best. I also love this one from Clinique for my face when I'm wearing makeup and I recently picked up this to try. How do you deal with eczema? I've suffered from eczema since I was a kid, but I'm super lucky now that I only get patches of it here and there. When I was a kid my dermatologist told my Mom to put Crisco (yes, shortening) on me and she did it every night and it helped so much. If it was really, really bad and wouldn't go away I would go and get a prescription cream from the dermatologist that would clear it up. As an adult I will still sometimes use the Crisco trick and love this and this from Lush to help prevent eczema spots from forming. Also in the last few months I've started getting small eczema patches on my face (which is new) and my dermatologist told me to use this diaper rash cream because I couldn't use what I normally do since it was my face and it clears up the spots so quickly! This is another question that I get asked all the time in person. I actually haven't worn fake lashes since probably freshman year of high school because my eyes can be sensitive to things like that and honestly I'm just too lazy to be bothered with applying them. Instead I just curl my lashes and use a few coats of this mascara. What is your number one go to beauty item? Right now it's definitely these from First Aid Beauty, they literally changed my skin and I get so many compliments since I started using them twice a day. I recently started using this shampoo and this conditioner from Shea Moisture and I'm obsessed because they clean my hair so well without drying it out or weighing it down! I also love this for priming, this to combat frizzing, this for beach waves, and always use this when heat styling. What is your holy grail perfume? Pink Sugar by Aquolina. It smells delicious, never bothers my allergies and I always get a ton of compliments on it! My personal style is classy and feminine with influences from trends and my favorite celebrities. For celebrity fashion inspiration the stars whose style I most covet are Olivia Palermo, Lauren Conrad, and Blake Lively. Nordstrom, Nordstrom Rack, Saks Off Fifth, and small boutiques. Where's your favorite place to buy jeans? Nordstrom Rack. I've had such great luck there recently, they have so many options, and their prices are great! Do you have a piece of clothing that's meaningful to you and why? I have a vintage leopard belt that was my Great Aunt's who passed away, which means so much to me. My Aunt was incredibly stylish and just an amazing person who I miss so much and I love that I think of her everytime I wear the belt. It's also a very chic belt and always makes an outfit look better. How do you take your photos for Instagram? I take most of my photos for Instagram using my iPhone 7Plus and try to use my DSLR camera when I remember to. My best advice for taking Instagram photos is to have good, bright, natural lighting and to take a ton of pictures of the same thing so that you have choices to pick the one you like best. I always take my pictures for Instagram during the day and try to set them up to avoid shadows; sometimes I'll get lucky and get it in the first few shots and other times I have to take a hundred to get one I like. I would definitely say to take your time when taking photos for Instagram and learn what works best for you. Also editing apps for shadows and lighting are always your friend. ColorStory. I used to use VSCO, but I started using ColorStory a few months ago and think it does a much, much better job. ColorStory is really great at lightening photos (which is what I like) and does an amazing job at keeping the quality of your photos intact through making lighting or color adjustments. My second favorite one is Snapseed because it allows you to brighten specific sections of photos like shadows. How do you get your Instagram photos so bright? I take them in bright light and use ColorStory! I edit the 'Brightness' and 'Curves' on ColorStory to brighten everything. What are your best flatlay tips? Pick a cohesive theme like fashion, makeup, skincare, etc. or a color scheme for a flatlay. Make sure you have good natural lighting and try taking pictures of your items positioned a few different ways to see which you like best. Again take a ton of photos so that you have choices. Also the sectional brightening in Snapseed is always helpful with flatlays and any shadows they might have! Make sure to let me know if I missed anything you want to know about me! 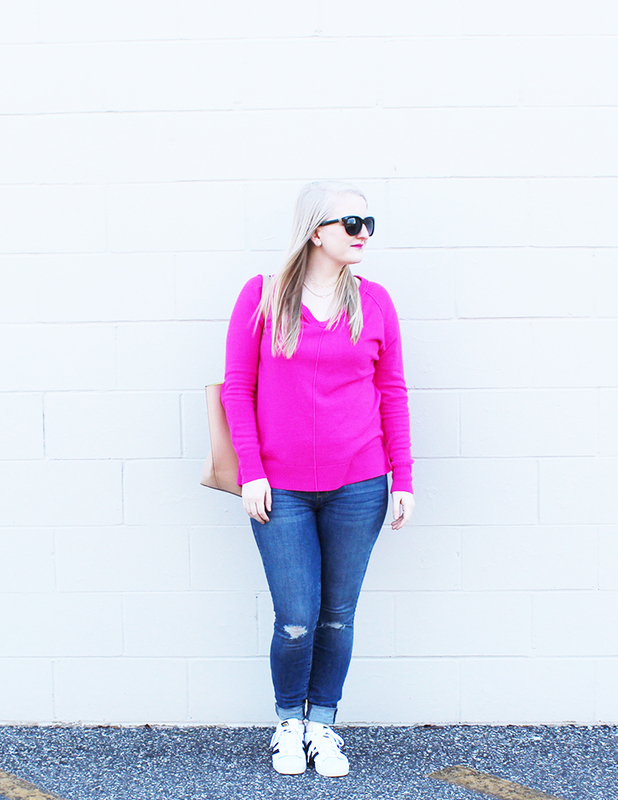 Today I'm linking up with Midweek Inspo, WIWW, Oh Hey Girl!, I Feel Pretty, and Trendy Wednesday.